In addition to being regulated by the Fair Debt Collection Practices Act (FDCPA), Massachusetts collection agencies are also regulated by Massachusetts debt collection laws. Discover: Massachusetts collection requirements, bad check laws (NSF), statutes of limitations for both debts and judgments, garnishments plus Massachusetts collection agency license and bonding information. Additional damages $100 – $500 can be assessed. “Commissioner”, the commissioner of banks. “Debt”, any obligation or alleged obligation of a consumer to pay money arising out of a transaction in which the money, property, insurance, or services which are the subject of the transaction are primarily for personal, family, or household purposes, whether or not the obligation has been reduced to judgment. “Register”, filing a notice with the commissioner on a form prescribed by the commissioner that notifies the commissioner of the intent to engage in the activities of a third party loan servicer in this state and the payment of a fee required under this act, along with the other documents, proofs, and fees required by the commissioner. “Servicing”, receiving a scheduled periodic payment from a borrower pursuant to the terms of a loan, including amounts for escrow accounts, and making the payments to the owner of the loan or other third party of principal and interest and other payments with respect to the amounts received from the borrower as may be required pursuant to the terms of the servicing loan document or servicing contract. In the case of a home equity conversion mortgage or reverse mortgage as referenced in this section, servicing includes making payments to the borrower. “Third party loan servicer”, a person who uses an instrumentality of interstate commerce or the mails in any business the principal purpose of servicing a loan directly or indirectly, owed or due or asserted to be owed or due another. Section 24A. (a) No person shall directly or indirectly engage in the commonwealth in the business of a debt collector, or engage in the commonwealth in soliciting the right to collect or receive payment for another of an account, bill or other indebtedness, or advertise for or solicit in print the right to collect or receive payment for another of an account, bill or other indebtedness, without first obtaining from the commissioner a license to carry on the business, nor unless the person or the person for whom he or it may be acting as agent has on file with the state treasurer a good and sufficient bond. (b) A person shall not directly or indirectly engage in the commonwealth in the business of a third party loan servicer without registering with the commissioner. A registrant shall not be required to comply with sections 24F to 27, inclusive. (c) This section shall not apply to a bank as defined in section 1 of chapter 167, a national banking association, federal savings bank, federal savings and loan association, federal credit union, or any bank, trust company, savings bank, savings and loan association or credit union organized under the laws of any other state of the United States, or any subsidiary of the above; but except as provided herein, this section shall apply to a subsidiary or affiliate, as defined by the commissioner, of an exempted entity and of a bank holding company established in accordance with state or federal law. The commissioner may adopt, amend or repeal rules and regulations, to aid in the administration and enforcement of this chapter. (d) The commissioner may from time to time establish regulations pertaining to the conduct of the business of a debt collector or a third party loan servicer as he considers necessary. Section 24B. (a) The application for the license shall be in writing, shall contain information as the commissioner may determine and shall be accompanied by an investigation fee to be determined annually by the commissioner of administration under section 3B of chapter 7. The commissioner may reject an application for a license or an application for the renewal of a license if he is not satisfied that the financial responsibility, character, reputation, integrity and general fitness of the applicant and of the owners, partners or members thereof, if the applicant be a partnership or association, and of the officers and directors, if the applicant be a corporation, are such as to command the confidence of the public and to warrant the belief that the business for which the application for a license is filed will be operated lawfully, honestly and fairly. The application shall also include a description of the activities of the applicant, in such detail and for such periods, as the commissioner may require, as well as further information as the commissioner may require. If the licensee desires to carry on business in more than one place, he shall procure a license for each place where the business is to be conducted. (b) The license shall be for a period of 1 year as of a date determined by the commissioner. Each license shall plainly state the name of the licensee and the city or town with the name of the street and number, if any, of the place where the business is to be carried on; but, the business shall at all times be conducted in the name of the licensee as it appears on the license. The fee for the license shall be determined annually by the commissioner of administration under section 3B of chapter 7. The license shall not be transferable nor assignable. A change of location of an office of a licensee shall require the prior approval of the commissioner. A request for relocation shall be in writing setting forth the reason for the request, and shall be accompanied by a relocation investigation fee to be determined annually by the commissioner of administration under the provisions of said section 3B of said chapter 7. Section 24C. (a) The registration of a third party loan servicer shall be in writing, shall contain information as the commissioner may determine and shall be accompanied by an investigation fee to be determined annually by the commissioner of administration under section 3B of chapter 7. (b) The registration shall be for a period of 1 year as of a date determined by the commissioner. Each registration shall plainly state the name of the registrant and the city or town with the name of the street and number, if any, of the place where the business is to be carried on; but, the business shall at all times be conducted in the name of the registrant as it appears on the registration. The fee for the registration shall be determined annually by the commissioner of administration under section 3B of chapter 7. The registration shall not be transferable nor assignable. A change of location of an office of a registrant requires notification in writing to the commissioner. (c) A registration accepted by the commissioner under this section does not approve the use of, or indemnify the registrant against claims for, the improper use of the business name stated in the registration. The registration shall also include a description of the activities of the applicant, in such detail and for such periods, as the commissioner may require, as well as further information as the commissioner may require. Section 24D. (a) The commissioner may investigate the collection records of a licensee or registrant, and for that purpose the commissioner shall have free access to the books and papers of a licensee or registrant relating thereto. A licensee or registrant shall keep and use the business records in such form and at such location as the commissioner, by regulation, shall determine, which shall enable the commissioner to determine whether the licensee or registrant is complying with this chapter and rules or regulations promulgated hereunder by the commissioner and any other law, rule or regulation applicable to the conduct of the business for which it is licensed or registered under this chapter. (b) The commissioner shall preserve a full record of each examination of a licensee including a statement of its condition. All records of investigations and reports of examinations by the commissioner, including workpapers, information derived from the reports or responses to the reports, and any copies thereof in the possession of a licensee under the supervision of the commissioner, shall be confidential and privileged communications, shall not be subject to subpoena and shall not be made public. For the purposes of this subsection, records of investigation and reports of examinations shall include records of investigation and reports of examinations conducted by a financial regulatory agency of the federal government and any other state, and of a foreign government which are considered confidential by the agency or foreign government and which are in possession of the commissioner. In a proceeding before a court, the court may issue a protective order in appropriate circumstances to protect the confidentiality of the record and order that the record on file with the court or filed in connection with the court proceeding be sealed and that the public be excluded from any portion of the proceeding at which the record is disclosed. Copies of the reports of examination shall be furnished to a licensee for its use only and shall not be exhibited to any other person, organization or agency without prior written approval by the commissioner. The commissioner may furnish to regulatory agencies of the federal government, or other states, or of foreign countries, and a law enforcement agency, information, reports and statements relating to the licensees under his supervision as he considers appropriate. (c) If a licensee or registrant violates sections 24 to 25, inclusive, or fails to maintain its financial condition sufficient to qualify for a license on an original application or for other just cause as the commissioner may determine, the commissioner may, after notice and hearing pursuant to the provisions of chapter 30A, revoke a license or registration or suspend the license or registration for a period as he considers proper. Section 25. The bond required under section 24 shall run to the state treasurer and shall cover an indeterminate period but it may be cancelled at any time as provided in section 26. The bond shall be in the sum of $25,000. The bond shall provide that the person giving the same, shall, upon written demand, pay and turn over to or for the person whom any account, bill or other indebtedness is taken for collection the proceeds of the collection in accordance with the terms of the agreement upon which it was received for collection. The bond shall be in such form and shall contain such further provisions and conditions as the state treasurer with the advice and consent of the governor and council considers necessary or proper. Section 26. Said bond shall be executed by said person, partnership, association or corporation as principal, with a surety company as surety; or cash may be accepted in lieu of a surety company. The bond shall not be accepted unless it is approved by the state treasurer after having been examined and approved by the commissioner of banks. Upon its approval by the treasurer, it shall be filed in his office. Said bond may be cancelled at any time by the principal, by the surety company or by the state treasurer upon written notice by registered mail given by the principal, the surety company or the state treasurer to each of the others, said notice to state the effective date of the cancellation which shall not be sooner than thirty days from the date of the mailing of such notice. Section 27. The state treasurer shall keep a record open to public inspection of the bonds filed with him under the preceding section, with the names, places of residence and places of business of the principals and sureties, and the name of the officer before whom the bond was executed or acknowledged. Section 28. Any person doing any business for which a bond is required by section twenty-four or any member of a partnership or officer of an association or corporation doing such business shall, upon written demand, render a true and complete account to the person, partnership, association or corporation from whom any account, bill or indebtedness was taken for collection and shall turn over to or for such person, partnership, association or corporation the proceeds of such collection within thirty days after such written demand and shall return any claim or claims upon the written demand of such person, partnership, association or corporation within thirty days after such written demand and after the tender of any amounts, if any, as may be due and owing from such person, partnership, association or corporation to the agency. Whoever fails to comply with any provision of this section or sections twenty-four to twenty-seven, inclusive, or any regulation promulgated in accordance with the provisions of section twenty-four, shall be punished by a fine of not more than five hundred dollars or by imprisonment for not more than three months, or both. Failure to comply with any provision of this section or of section twenty-four to twenty-seven, inclusive, or any regulation promulgated in accordance with the provisions of section twenty-four shall constitute an unfair or deceptive act or practice under the provisions of paragraph (a) of section two of chapter ninety-three A. Section 49. No one who is a creditor or an attorney for a creditor, or an assignee of a creditor, of a natural person present or residing in Massachusetts who has incurred a debt primarily for personal, family or household purposes shall collect or attempt to collect such debt in an unfair, deceptive or unreasonable manner. (a) The creditor communicates, threatens to communicate, or implies the fact of such debt or alleged debt to a person other than the person who might reasonably be expected to be liable therefor, or to an authorized user after the fact if that status is communicated to the creditor in writing, except with the written permission of the alleged debtor. The provisions of this paragraph shall not prohibit a creditor from notifying a debtor of the fact that the creditor may report a debt or alleged debt to a credit bureau or engage an agent or an attorney for the purpose of collecting the debt or alleged debt. For the purposes of this paragraph, the use of language on envelopes indicating that the communication relates to the collection of a debt shall be deemed a communication of such debt or alleged debt. (b) The creditor communicates directly with the alleged debtor after notification from an attorney representing such debtor that all further communications relative to the debt should be addressed to him. (c) The creditor communicates with the alleged debtor in such a manner as to harass or embarrass the alleged debtor, including, but not limited to communication at an unreasonable hour, with unreasonable frequency, by threats of violence, by use of offensive language, or by threats of any action which the creditor in the usual course of business does not in fact take. (d) The creditor communicates with alleged debtors through the use of forms or instruments that simulate the form and appearance of judicial process. Failure to comply with the provisions of this section shall constitute an unfair or deceptive act or practice under the provisions of chapter ninety-three A. Section 11. Any person who engages in the conduct of any trade or commerce and who suffers any loss of money or property, real or personal, as a result of the use or employment by another person who engages in any trade or commerce of an unfair method of competition or an unfair or deceptive act or practice declared unlawful by section two or by any rule or regulation issued under paragraph (c) of section two may, as hereinafter provided, bring an action in the superior court, or in the housing court as provided in section three of chapter one hundred and eighty-five C, whether by way of original complaint, counterclaim, cross-claim or third-party action for damages and such equitable relief, including an injunction, as the court deems to be necessary and proper. Such person, if he has not suffered any loss of money or property, may obtain such an injunction if it can be shown that the aforementioned unfair method of competition, act or practice may have the effect of causing such loss of money or property. Any persons entitled to bring such action may, if the use or employment of the unfair method of competition or the unfair or deceptive act or practice has caused similar injury to numerous other persons similarly situated and if the court finds in a preliminary hearing that he adequately and fairly represents such other persons, bring the action on behalf of himself and such other similarly injured and situated persons; the court shall require that notice of such action be given to unnamed petitioners in the most effective, practicable manner. Such action shall not be dismissed, settled or compromised without the approval of the court, and notice of any proposed dismissal, settlement or compromise shall be given to all members of the class of petitioners in such a manner as the court directs. A person may assert a claim under this section in a district court, whether by way of original complaint, counterclaim, cross-claim or third-party action, for money damages only. Said damages may include double or treble damages, attorneys’ fees and costs, as hereinafter provided, with provision for tendering by the person against whom the claim is asserted of a written offer of settlement for single damages, also as hereinafter provided. No rights to equitable relief shall be created under this paragraph, nor shall a person asserting such claim be able to assert any claim on behalf of other similarly injured and situated persons as provided in the preceding paragraph. The provisions of sections ninety-five to one hundred and ten, inclusive, of chapter two hundred and thirty-one, where applicable, shall apply to a claim under this section, except that the provisions for remand, removal and transfer shall be controlled by the amount of single damages claimed hereunder. If the court finds for the petitioner, recovery shall be in the amount of actual damages; or up to three, but not less than two, times such amount if the court finds that the use or employment of the method of competition or the act or practice was a willful or knowing violation of said section two. For the purposes of this chapter, the amount of actual damages to be multiplied by the court shall be the amount of the judgment on all claims arising out of the same and underlying transaction or occurrence regardless of the existence or nonexistence of insurance coverage available in payment of the claim. In addition, the court shall award such other equitable relief, including an injunction, as it deems to be necessary and proper. 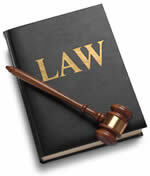 The respondent may tender with his answer in any such action a written offer of settlement for single damages. If such tender or settlement is rejected by the petitioner, and if the court finds that the relief tendered was reasonable in relation to the injury actually suffered by the petitioner, then the court shall not award more than single damages. If the court finds in any action commenced hereunder, that there has been a violation of section two, the petitioner shall, in addition to other relief provided for by this section and irrespective of the amount in controversy, be awarded reasonable attorneys’ fees and costs incurred in said action. In any action brought under this section, in addition to the provisions of paragraph (b) of section two, the court shall also be guided in its interpretation of unfair methods of competition by those provisions of chapter ninety-three known as the Massachusetts Antitrust Act. Knowing and abiding to the proper Massachusetts debt collection laws is important for both creditors and collection agencies alike. There are debtor’s rights attorneys who are just waiting for creditors or collection agencies to slip up. If you mistakenly violate the Massachusetts debt collection laws, you could create a liability for your business and even open yourself up to a expensive lawsuit. Please note: Massachusetts debt collection laws can change over time, and you need to consult with an attorney before you use this information.